I gotta get this blog finished as we are now back in Brisbane and my blog has to catch up. 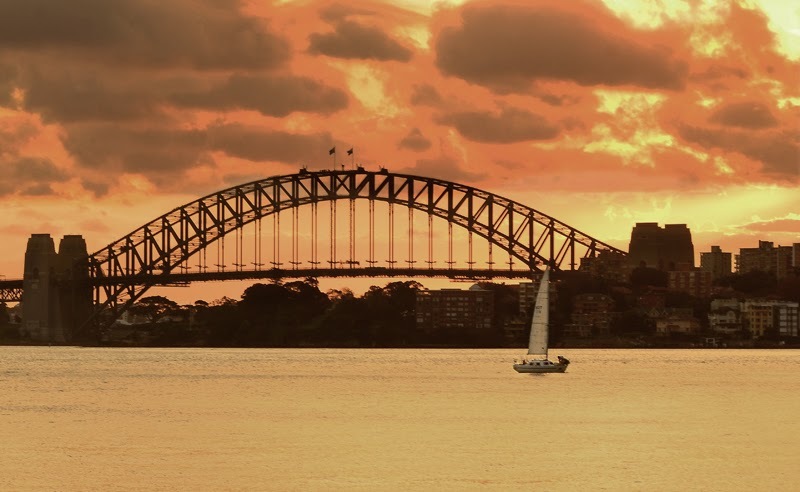 Sydney is regularly declared to be one of the most beautiful and liveable cities in the world; admired for its harbour, beautiful coastline, warm and pleasant climate and cosmopolitan culture. I should know, I lived there during my teenage years. 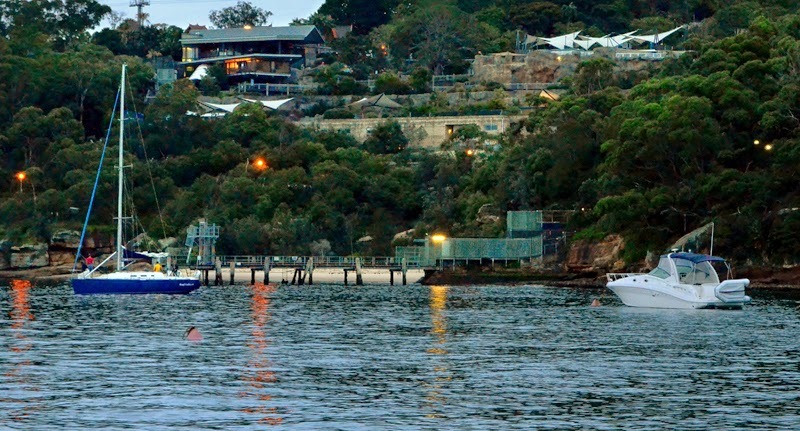 Camp Cove is nestled on the harbour side of South Head, a short walk from Watson’s Bay and access to Sydney Harbour National Park. The Watson's Bay area provided abundant fish, shellfish and food for the local Aboriginal community in a sheltered environment. Rock engravings in the area depict a range of marine creatures including whales and fish. There is also a rock shelter at the northern end of the Camp Cove Beach that shows evidence of habitation by the local Aboriginal people. Governor Phillip and the First Fleet rested for a night in Camp Cove before landing at Sydney Cove in 1788. 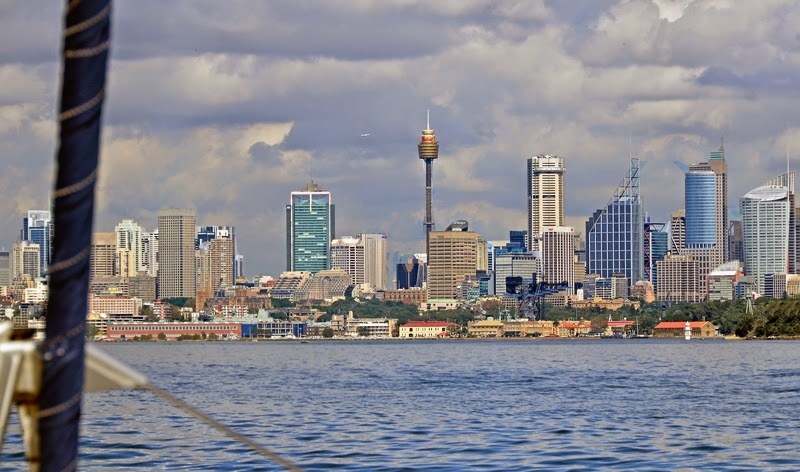 The bountiful nature of the area was also recognised by the early European settlers and a fishery was set up nearby in 1792 to help feed the new settlement at Sydney Cove. MrJ and I have spent time at Watson's Bay and Camp Cove several years ago, during the start of the Sydney to Hobart yacht race. An 11 metre octagonal cylindrical tower with lantern and two galleries, mounted on piles. Located off Laing’s Point in Vaucluse, it marks the eastern end of the Sow and Pigs Shoal. It emits a green light occulting once every 3 seconds. 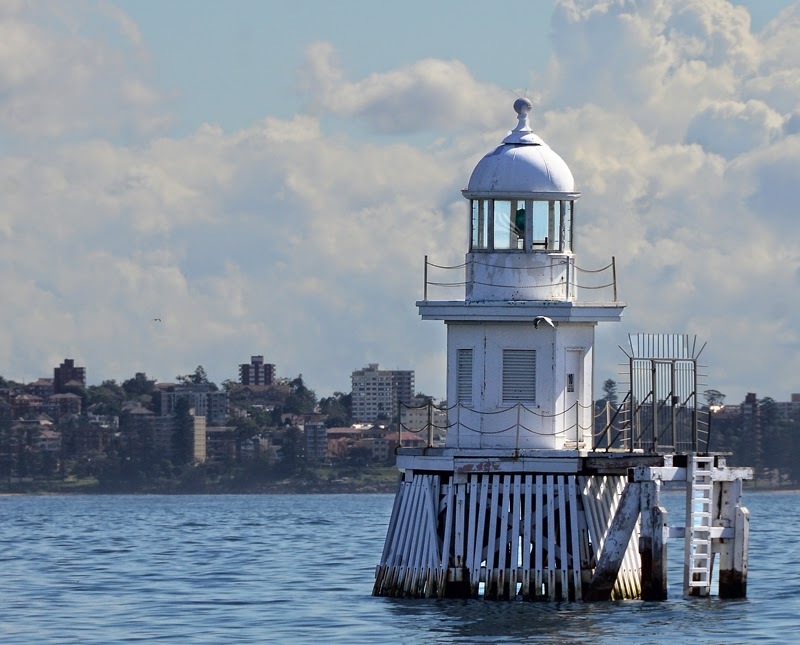 This channel marker is scheduled for replacement by Sydney Ports. Powered by mains electricity and has a standby diesel generator. Alana Rose passes by this harbour sentry as we move on up the waterway. 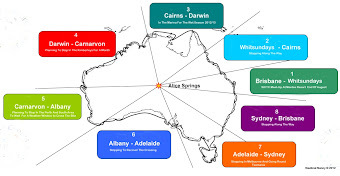 The City of Sydney local area covers approximately 26.15 square kilometres, within the Sydney metropolitan region. Over the past decade the City has become the largest and fastest growing local government area in all of NSW. 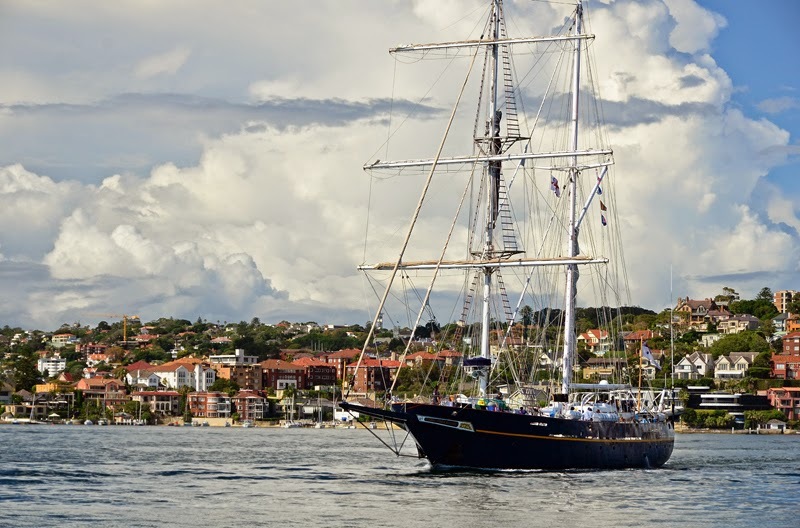 The Young Endeavour was a gift from the United Kingdom to the Government and people of Australia to mark the Bicentenary in 1988. The ship was pledged by the then Prime Minister, Mr Bob Hawke, to serve Australian youth. 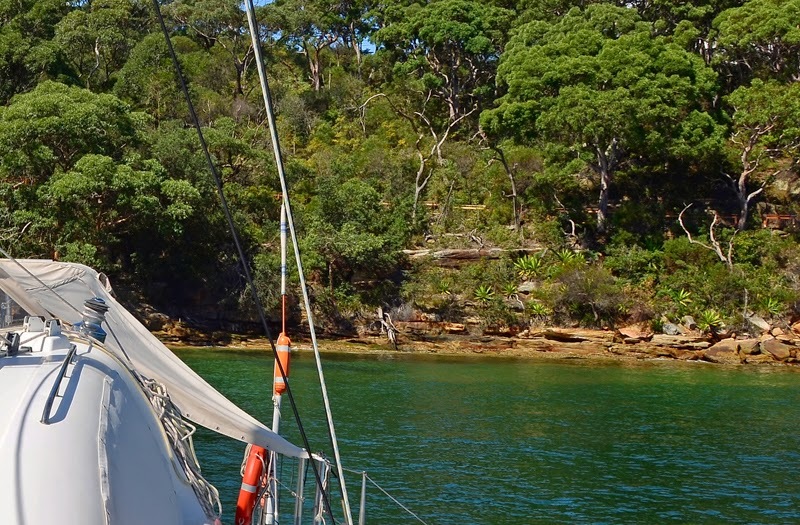 Her arrival heralded the start of a new era of sail training in Australia. The Government decided that the Royal Australian Navy would operate and maintain the ship, and that the Young Endeavour Youth Scheme would be set up to manage the associated sail training program. The Scheme was established in early 1988 with a Board appointed by and responsible to the Minister for Defence. The Scheme's management and administration is undertaken by civilian staff, and is based in the ship's home port of Sydney. As Australia's sail training flagship, Young Endeavour participates in major events in Australia and around the world. We have seen the Young Endeavour in many places along the Australian eastern coast. 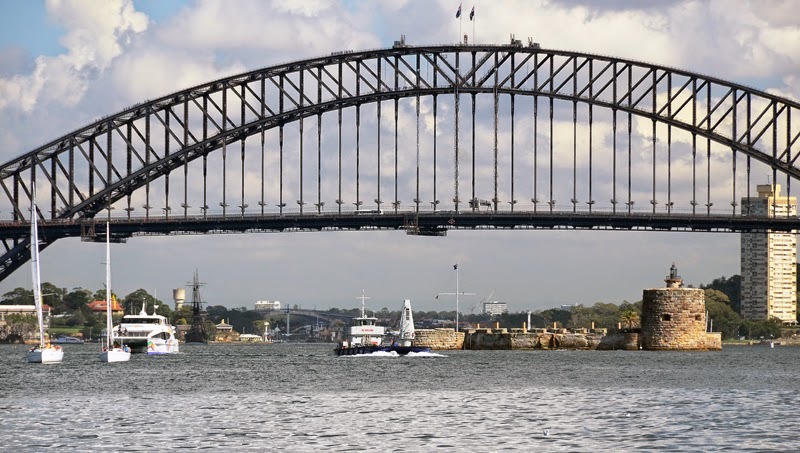 With the Opera House and Harbour Bridge in sight, sailing into Sydney Harbour, after having circumnavigated around Australia, was a very emotional experience for me. In the past I had lived in Sydney and went to school by the harbour. Sydney always looks so beautiful from the water. What a great feeling to be sailing into such a beautiful harbour. 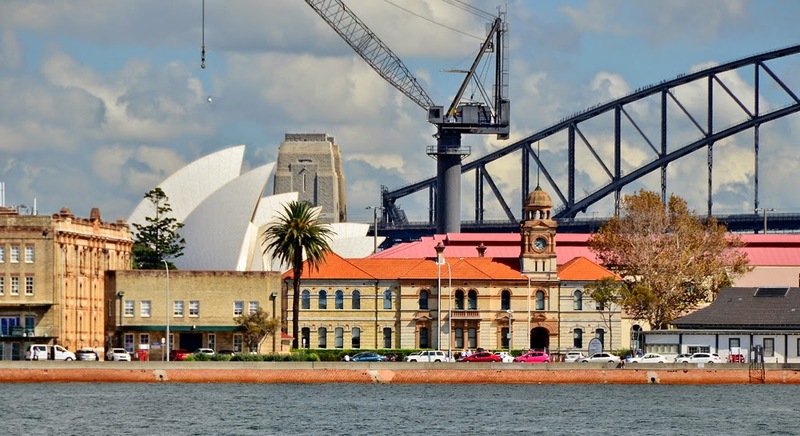 The Royal Australan Navy is fortunate in possessing many buildings of both historical and architectural interest. Building 27 of the Main Office Building at Garden Island must rank high on this list. Prior to 1894, the site of this building was occupied by a single storey dining room, store and cookhouse. The architect’s first proposal was to leave these buildings in this situation and erect the Main Office Building on the site now occupied by the Naval Store Office at the northern end of the square. Fortunately, this latter proposal was not proceeded with and work commenced on the building in 1894. The building was of two storeys with a clock tower. The building was completed in 1894, but the clock, which was manufactured by William Auld of Sydney, was not installed until 1895. The clock is one of the last of its kind in Sydney. Its motive power is obtained from a pulley and weight system. The pulleys are wound up by manpower twice a week. An ingenious differential gear turns all four sets of hands simultaneously. The Sydney Tower is Sydney’s tallest building and the third tallest in Australia, with theQ1 Building on the Gold Coast and the Eureka Tower in Melbourne being the tallest. However, by non-floor height or spire height, it is the second tallest in Australia. 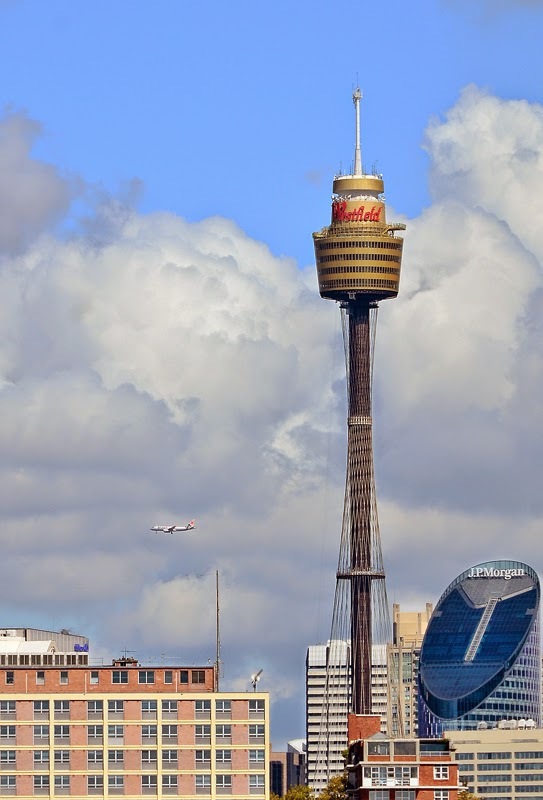 The Sydney Tower is also the second tallest observation tower in the Southern Hemisphere after Auckland’s Sky Tower, though Sydney Tower's main observation deck is almost 50 m (164 ft) higher than that of Auckland's Sky Tower. Garden Island has supported naval activities since 1788 with the role and utilisation of the island varying over the years. Originally the small island of 4.6 hectares was literally used as a garden bed to produce food for the ship's company. By 1946 land had been reclaimed between Potts Point and Garden Island, expanding the Garden Island site to 27 hectares. Garden Island was also the site of the sinking of the accommodation ship KUTTABUL in 1942 by Japanese midget submarine with the death of 21 Australian and British sailors. At this time, the site had been designated Australia's main naval port and ship repair site and the construction of the Captain Cook Graving Dock was underway. Hundreds of war ships have berthed at Garden Island over the past two hundred years, including many that have docked for repairs and maintenance. The two main users of Garden Island are the Navy and Thales Australia. Garden Island is the main base for the Navy Fleet on Australia's East Coast. 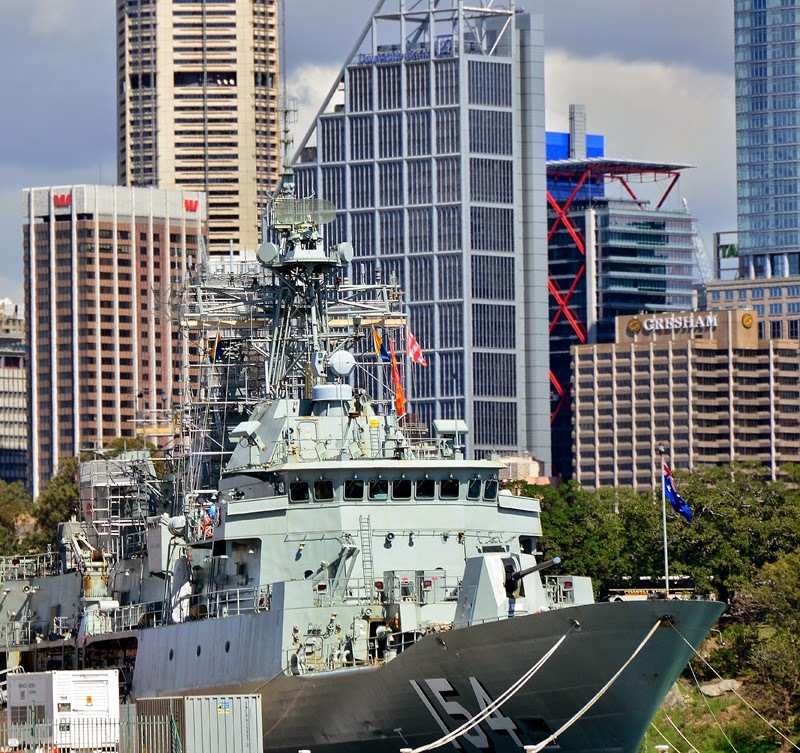 Thales Australia manages and operates a graving dock (dry dock), a floating dock and a range of ship engineering and maintenance facilities at Garden Island. The Sydney Opera House, located at Bennelong Point within a superb harbour setting, is Australia's most recognisable building and is an icon of Australia. The design of the building, with its soaring white roof shell shaped sails atop a massive red granite platform, has been internationally acclaimed as an architectural icon of the 20th century. It took 16 years to build; constructed between 1957 and 1973and the designer being the Pritzker Prize winner Danish architecture Jorn Utzon. The completion of the project was overseen by the architects Hall, Todd and Littlemore, and the story of its construction was one of great controversy. Complex engineering problems and escalating costs made it a source of great public debate that only subsided when the beauty and achievement of the completed building placed it on the world stage. The technical challenge of how to construct the roof sails took four years to solve. The roof sails were based on the geometry of the sphere and Utzon used this to demonstrate the creative potential and the assembly of prefabricated, repeated components. It was seen as a structure at the leading edge of endeavour. 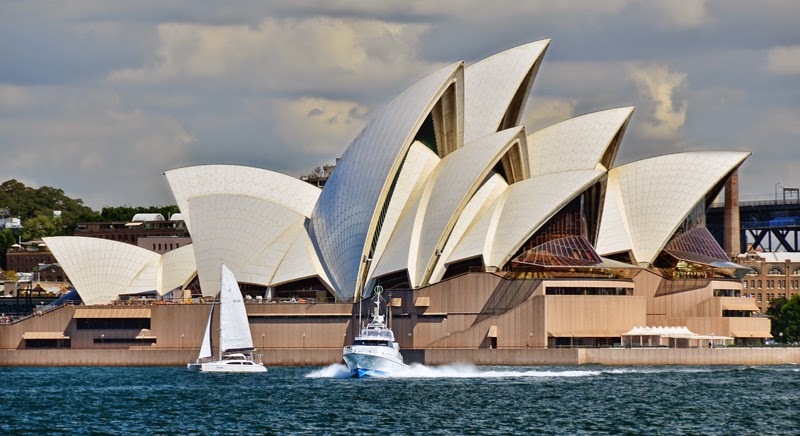 Today the Sydney Opera House is a national cultural centre that has gained widespread recognition and respect as a performing arts venue, and includes a concert hall, opera and drama theatres, a playhouse and a studio. It is a fitting showcase for many of the world's leading performers. As Utzon envisioned, the Sydney Opera House reflects its pivotal place in Australia's creative history. 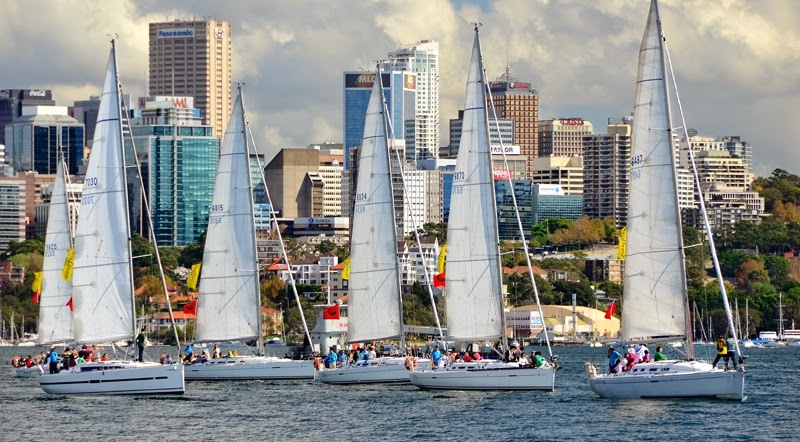 MrJ is a member of RANSA in Rushcutters Bay and we could not sail into Sydney without a visit. 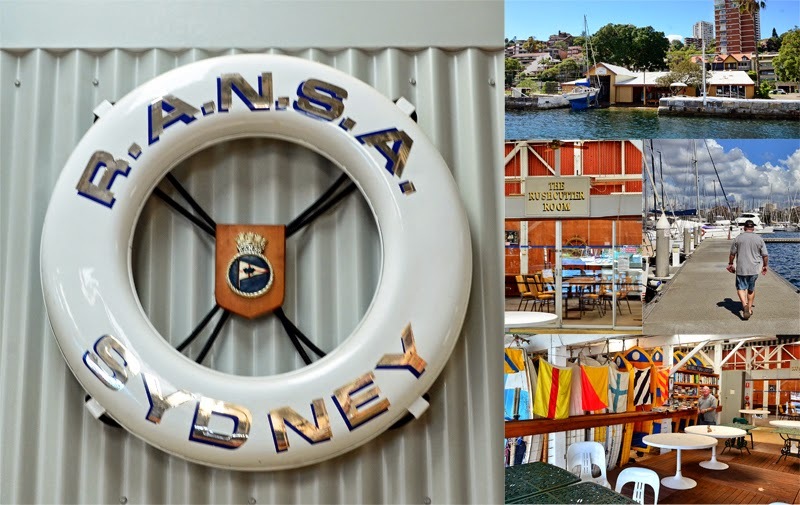 The Royal Australian Naval Sailing Association, RANSA was originally established as the Australia Station of the Royal Naval Sailing Association RNSA in 1947. 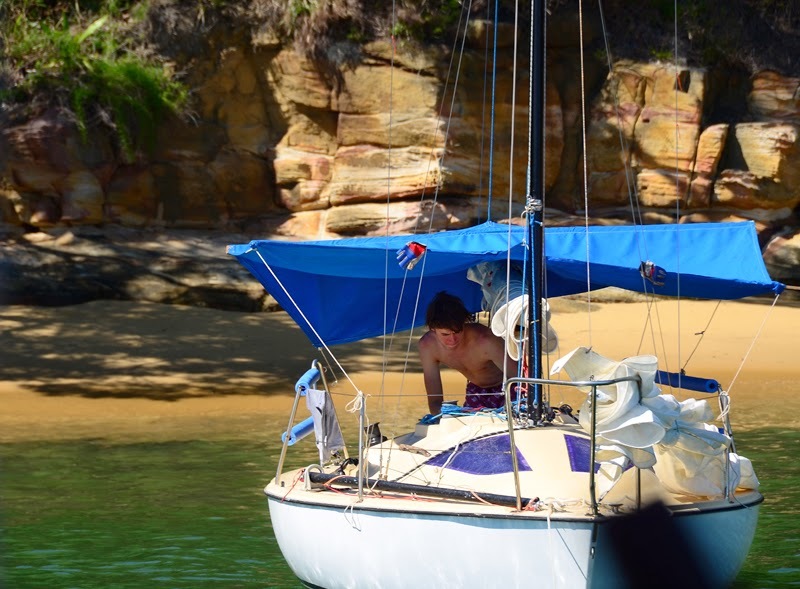 In 1966, with the blessing RNSA, RANSA was launched in its own right and has had a continuing history of involvement in the local Sydney sailing scene ever since. The building now housing RANSA used to be HMAS Rushcutter. HMAS Rushcutter is the oldest extant Naval Base in Australia. Its site was chosen to provide a base for the NSW Naval Brigade, formed under the Volunteer Force Regulation ACT of 1867. The earliest structures extant, dating from c1892, are corrugated iron clad buildings. The later brick structures were erected during the first part of this century. The buildings, the harbour and jetties enclose a bitumen car park that was formally the parade ground. The Boatshed, the RANSA building, is an early iron-clad building with modern roof cladding. The stone retaining wall around this section of Rushcutters Bay returns at the ramps adjacent to the shed, indicating that the shed was built at a time when Rushcutters Bay was reclaimed. During MrJ’s Naval days HMAS Rushcutter was used by the Navy clearance divers. 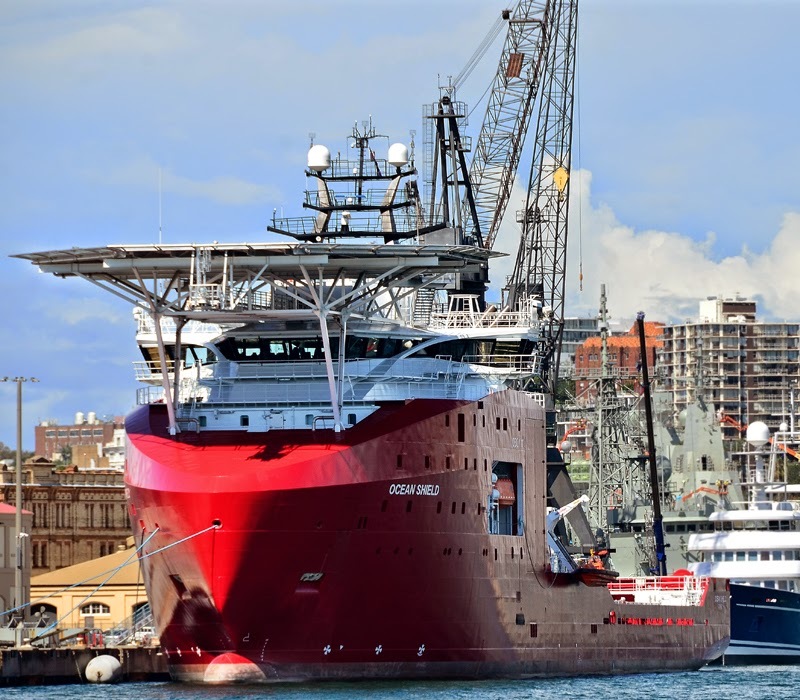 Australian Defence Vessel (ADV) Ocean Shield an Offshore Support Vessel for the Royal Australian Navy. Fort Denison is a former penal site and defensive facility occupying a small island located north-east of the Royal Botanic Gardens and about one kilometre east of the Opera House in Sydney Harbour. 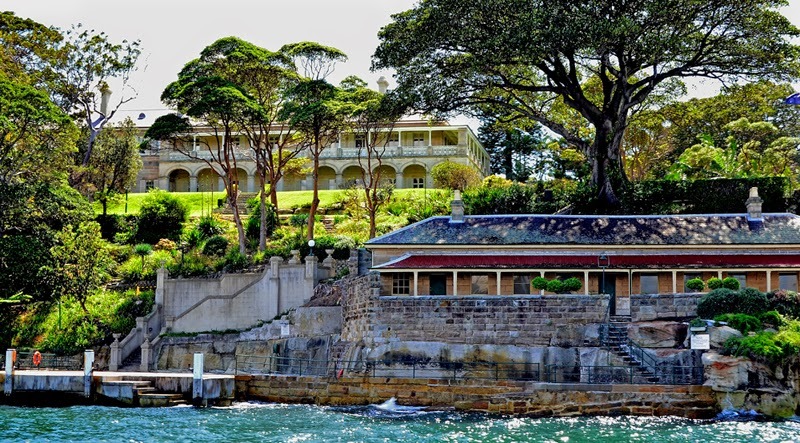 Kirribilli House is the official residence of the Australian Prime Minister in Sydney, New South Wales. The house is located at the far eastern end of Kirribilli Avenue in the harbourside suburb of Kirribilli. Circular Quay is the hub of Sydney Harbour, situated at a small inlet called Sydney Cove, the founding site for Sydney and Australia. 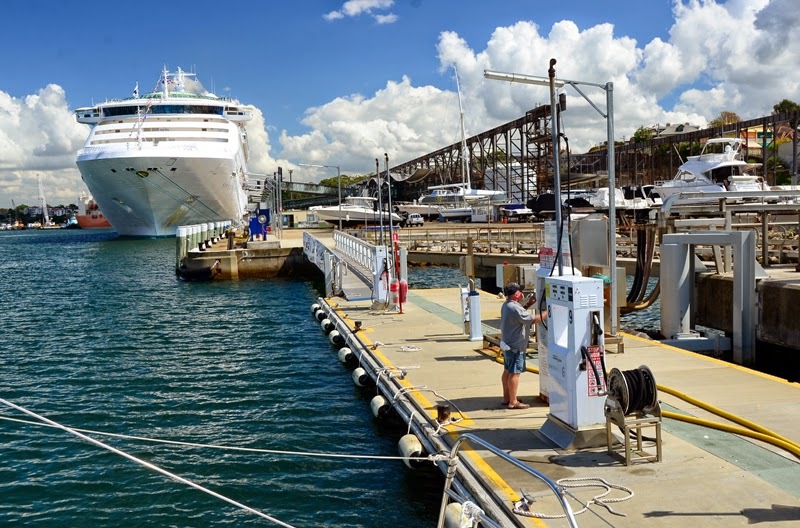 It is a stepping-off point for most attractions based around the harbour and an exciting place to be on a warm sunny day with ferries leaving every few minutes to different parts of the harbour. In the centre of Sydney are the roof top of the Rocks below Observatory Hill. 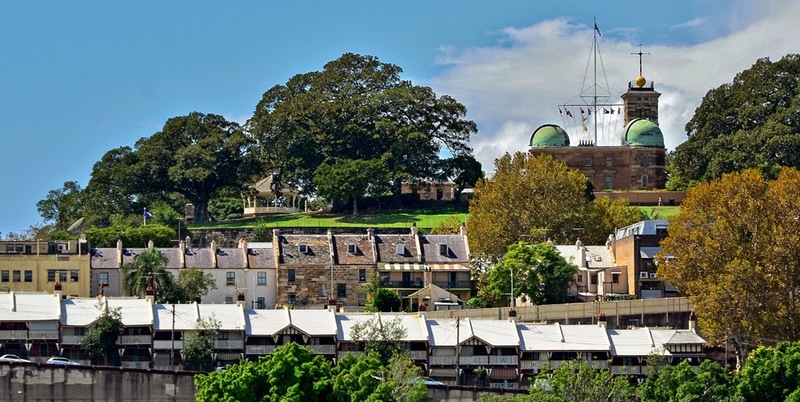 For a park with a million dollar view, it’s hard to go past the one on Observatory Hill where the Sydney Observatory is located. The site evolved from a fort built on 'Windmill Hill' in the early 19th century to an astronomical observatory during the nineteenth century. During my younger years I went to school nearby and we used to walk to the hill during gym class for a casual game of rounders (like softball). Located in the heart of Sydney Harbour White Bay 6 is an integrated marine fuel, service and supply facility. This is where you can fuel beside the big ships. Across the harbour, on the western side of Bradleys Head is Athol Bay; this is where we anchored for the night. There is a small sandy beach with thick scrub behind and a walkway out to Bradley’s head, part of the Sydney’s National Park. 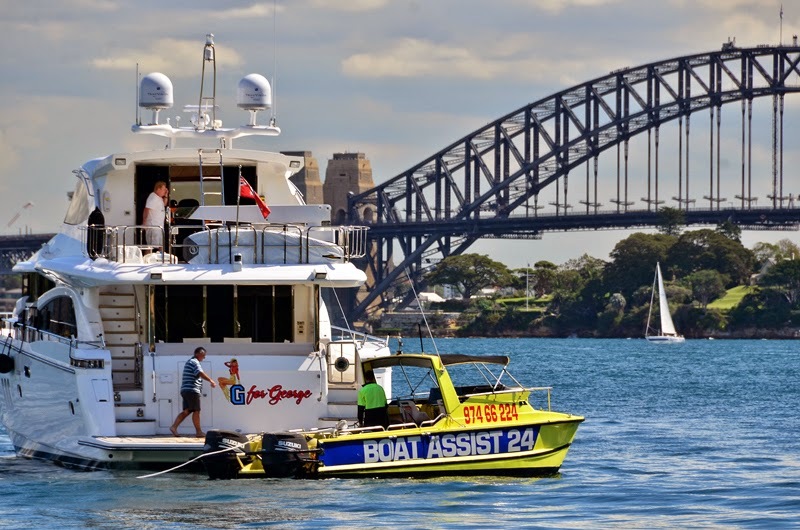 Not too far away is a rock and timber jetty that has an access road to Taronga Wharf and up to Taronga Zoo. 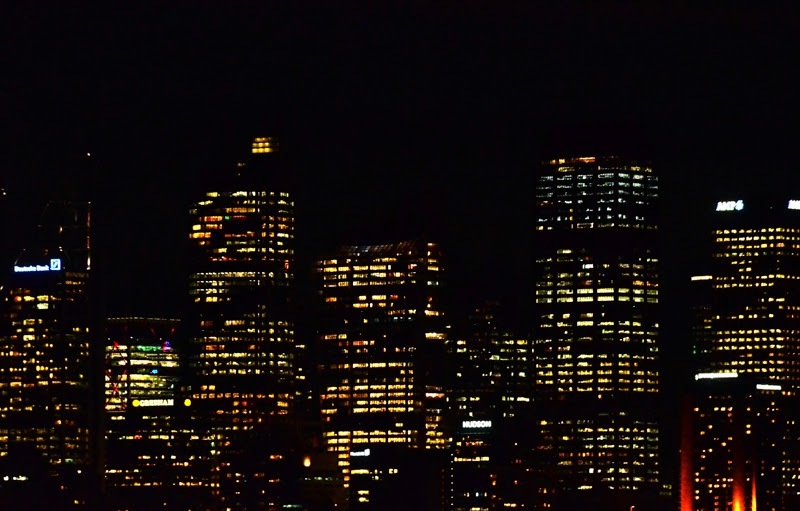 The view of the city, the Sydney CBD from Athol Bay are magnificent. What a beautiful and interesting post you have presented to visitors. I am impressed by sequence of pictures. Yacht Sails has been top rated sails.